The Model 777 Oven incorporates all of the standard features of the series plus a high speed rotation system for performing Affymetrix hybridization protocols. User-selectable rotator speeds to 80 RPM are achieved using a specially designed controller and drive motor. 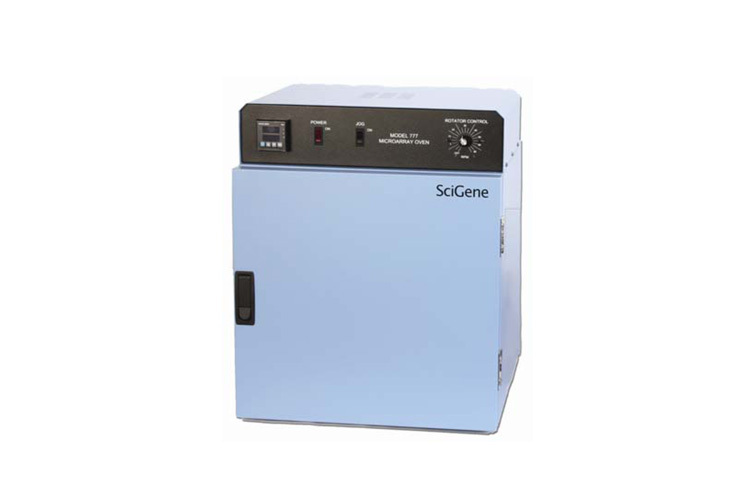 The Model 777 Oven is not limited to GeneChip Arrays and can be operated at lower rotational speeds for Agilent and other microarray chambers that use bubble-mixing. The flexible design eliminates the need to purchase a special oven or waterbath for different types of microarrays reducing operating cost and freeing up valuable bench space.